Discussions can easily get dominated by one or a few team members, reducing the rest of the team to spectators rather than participants. It is important that each individual team member feel their opinion is being heard in order for them to feel part of the team. When team members are excluded from a discussion you are losing out on their expertise, potentially reducing the quality of the meeting outcome. MeetingSift gives all team members equal opportunity to participate by engaging them via their own laptops or smartphones. Team members get to contribute their suggestions, opinions, and feedback in parallel, saving time and reducing potential order bias. Participants’ contributions are recorded, combined, and displayed in real time, providing a snap shot of the team’s collective opinions. 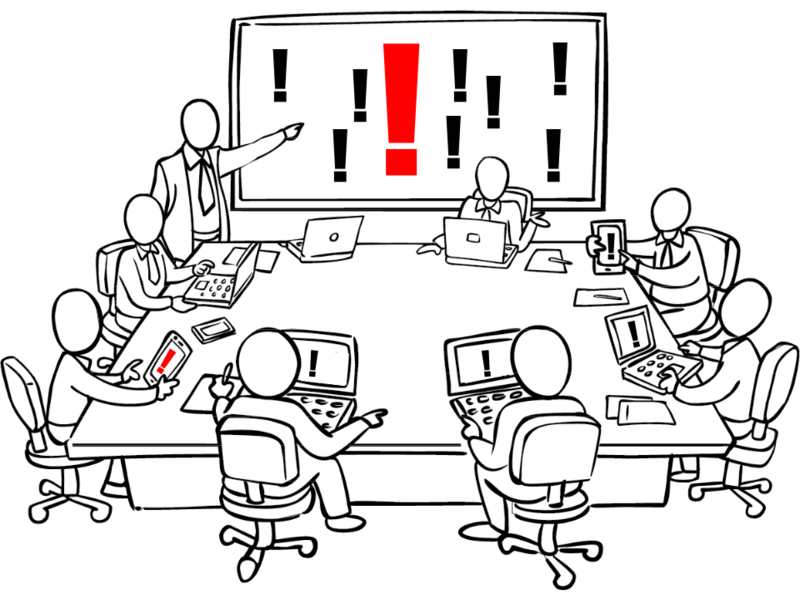 It can be difficult for the team to focus on an issue without being influenced by who presented or commented on it. Introverts or junior hires can find it challenging to speak up against dominant personalities, and may refrain from sharing their insights, potentially reducing the quality of the outcome. Office politics can also cause discussions to derail and go off topic, hindering the team in reaching a meaningful conclusion. MeetingSift allows participants to anonymously contribute suggestions, opinions, feedback, and questions to the team. Separating issue from person, makes it easier for the team to consider and address issues objectively and rationally. Addressing issues as a team rather than a group of individuals helps the team feel collective ownership of problems and solutions, which unites and strengthens them. Sometimes team members avoid sharing honest opinions and crucial feedback because they are worried about upsetting colleagues and creating conflicts in the team. This can result in the famous “elephant in the room”, where important issues are not addressed by the team, but instead left to grow into major problems that can seriously impact work satisfaction and productivity. MeetingSift lets team members contribute suggestions, opinions, and feedback anonymously, making it easier to point out issues that needs addressing. This is proven to help point out the elephant in the room, so the team can address it together, overcome it, and move forward. By overcoming key challenges together, rather than avoiding them, the team grow stronger and their outcome is of higher quality. Group decision making can be complicated and time consuming. It can take considerable time to identify viable options and find out to which degree they are supported by the team. If the process is not inclusive the final decision is often not fully supported by the entire team, leading to poor execution. 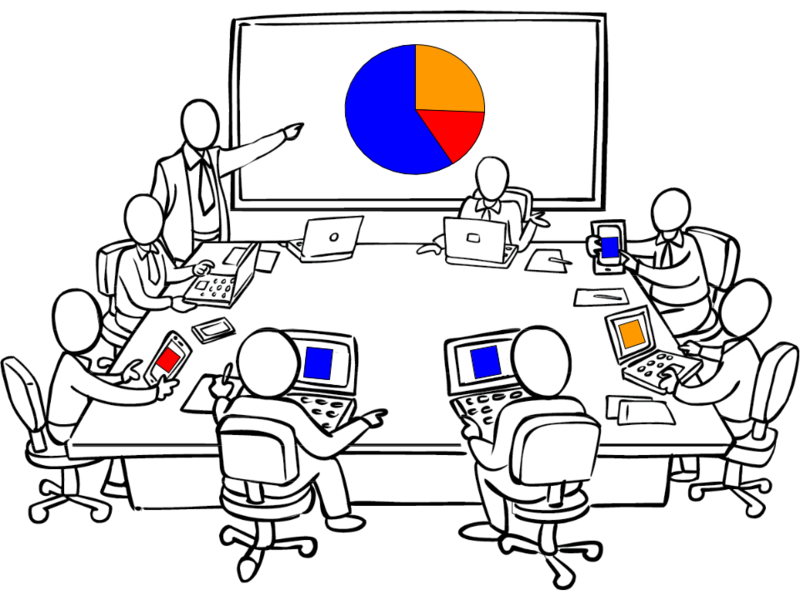 MeetingSift makes sure every team member is included in the decision making process. By quickly narrowing down options to the top contenders, and visualizing these, MeetingSift helps focusing the discussion and speed up decision making. The process and outcomes are recorded in a shareable report documenting the team’s final decision. Remote team members can easily feel disconnected from the team, especially if part of the team is co-located. During team meetings it can often feel like the main discussions are happening in the face-to-face group, while remote participants are reduced to bystanders. Feeling disconnected and left out often leads to low engagement and job satisfaction. MeetingSift helps unify the team by giving remote participants equal opportunity to participate actively in group activities and have their voices heard. 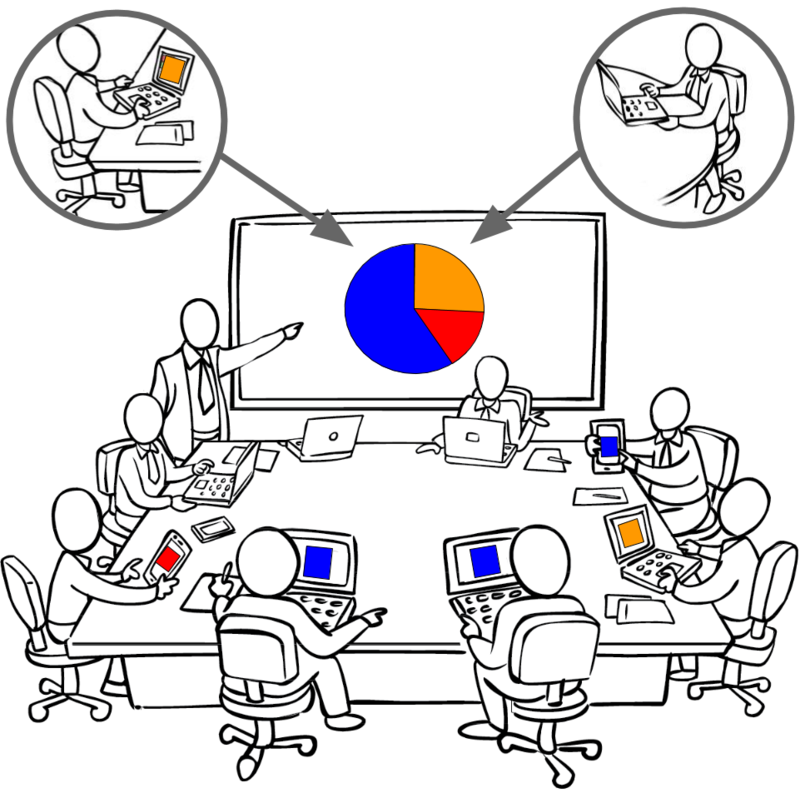 Remote meeting participants feel included in group processes and discussions. Their ideas, opinions, and feedback are given the same consideration as those of colleagues on premises. Unlimited meetings with up to 25 participants in each. See our plans and pricing to learn about all options. MeetingSift's easy to use collaboration platform for meetings helps you run more productive meetings, with higher engagement, better decision making, and more consistent follow up. © Copyright - MeetingSift. All Rights Reserved.